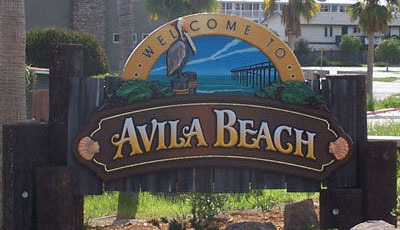 Avila Beach customers tell us that we do the very best windshield repair in their area. We go onsite, have reasonable rates and we are fast friendly! 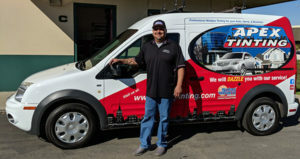 Priding ourselves on making you 100% satisfied, with your windshield replacement or repair in and around Avila Beach, is what we are all about! Are you worried about the size of the crack being too big to repair? Don’t fret about it! If it is smaller than a quarter and not in the direct line of the driver’s vision, chances are we can fix it on the spot! Our windshield repair Technicians are able to repair most chips and cracks without needing to replace the entire windshield. If, on the other hand, the crack or chip does turn out to be too big to repair, we can still replace most windshields onsite. Give us a call so we can get you setup for a fast appointment with one of our Technicians. We can come to your home or your office! As little as 15 minutes to repair that car window! Did you know it generally takes as little as 15 minutes to repair a glass chip? Acting fast when you have a glass chip or crack could save you hundreds of dollars in the long run. It’s a fast, inexpensive process and worth not waiting til your windshield crack grows, or worse, shatters! The cost to replace is much more, so don’t wait! Not sure if a repair or replacement of your windshield is the right decision? Not knowing, could put you in a dangerous situation and cost a lot more later! It’s best to consult a fully trained Technician, like those at Apex Auto Glass, who know how to make the right decision for you. Call Apex Auto Glass to get a FREE windshield assessment today! Windshields do a whole lot more than just protect you from the outside elements,they are part of the components that help support the roof of the car. When it comes to your safety, your windshield can be just as important as airbags or seat belts! Remember to bookmark this page for when you need windshield replacement and repair in Avila Beach 93424.